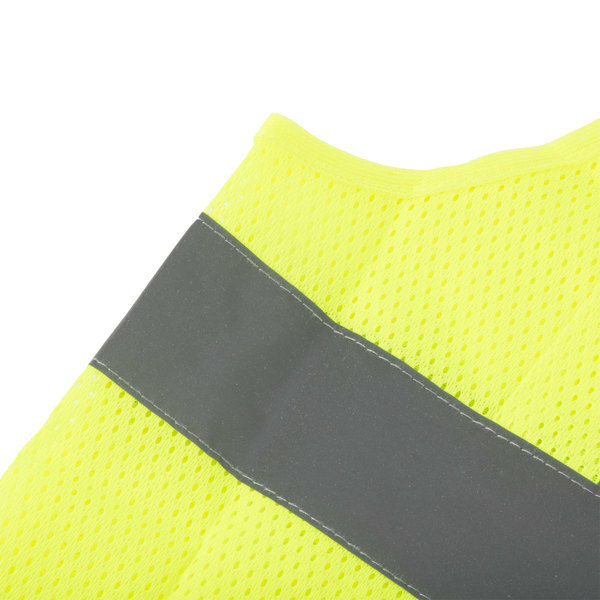 Designed to ensure a higher overall level of safety on the job, this bright lime green, high-visibility XXL Class II surveyor's safety vest with reflective silver tape helps you protect your most valuable assets: your employees. 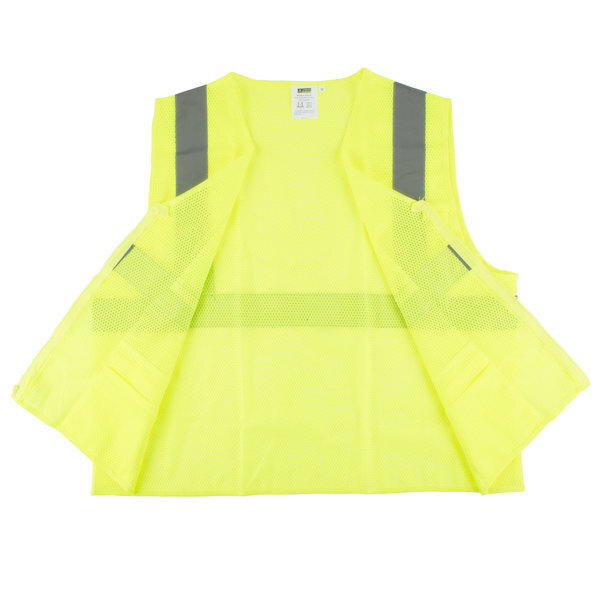 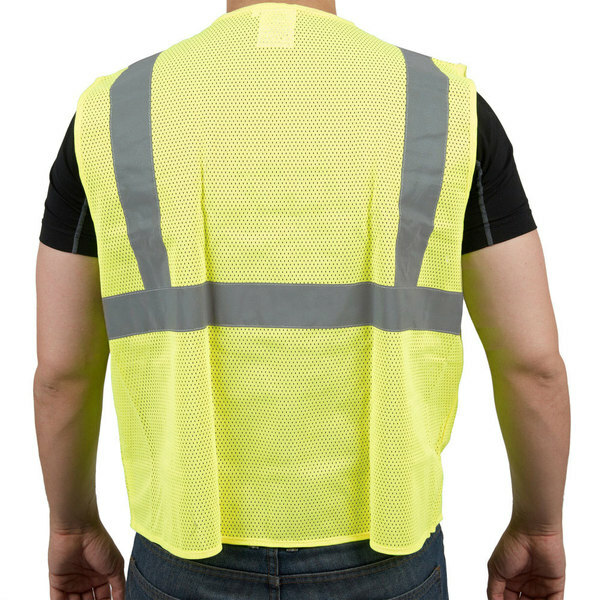 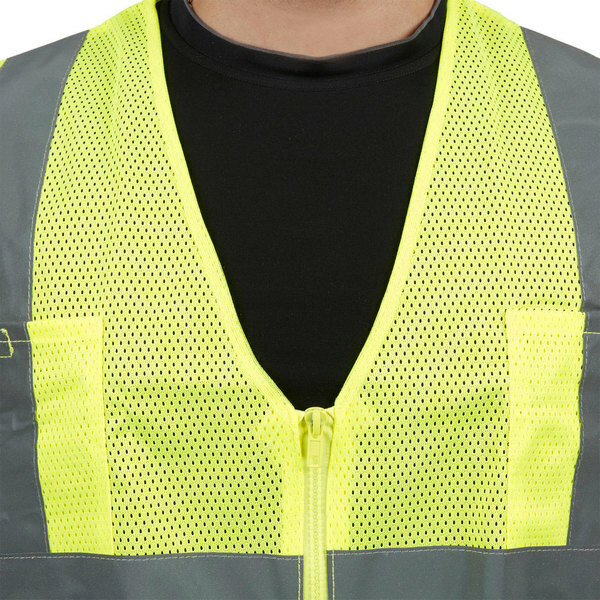 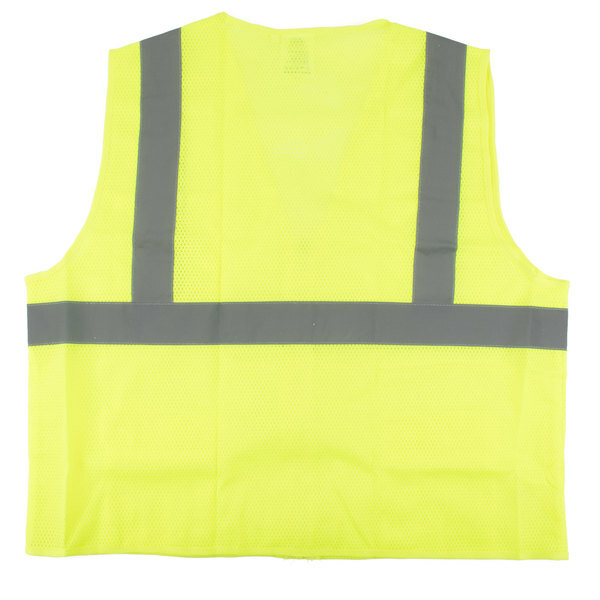 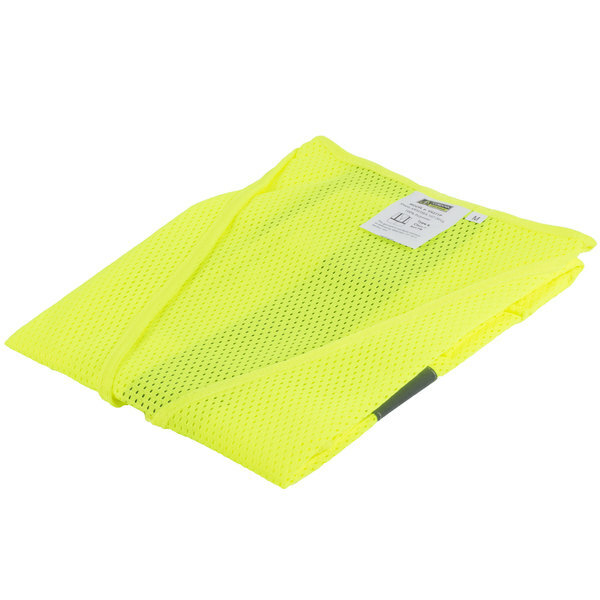 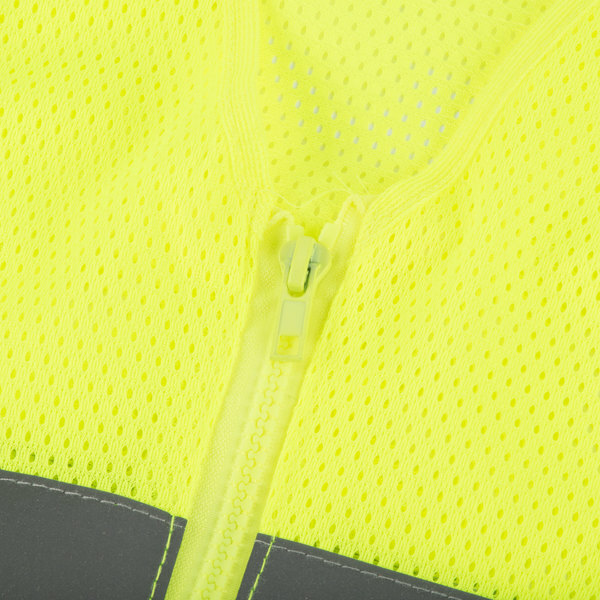 Featuring a vibrant lime green color and 2" thick reflective tape across the chest, shoulders, and back, this vest is perfect for airport luggage handlers, crossing guards, and surveyors who work outdoors in high-traffic areas where automobiles and work vehicles present potential danger. 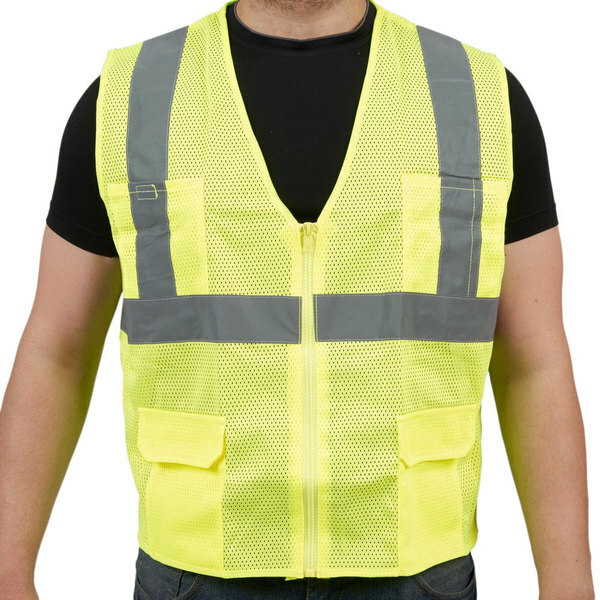 In addition to safer working conditions, this vest also provides convenient utility with its 6 pockets, including 2 outside chest pockets, 2 outside lower pockets, and 2 inside lower pockets. 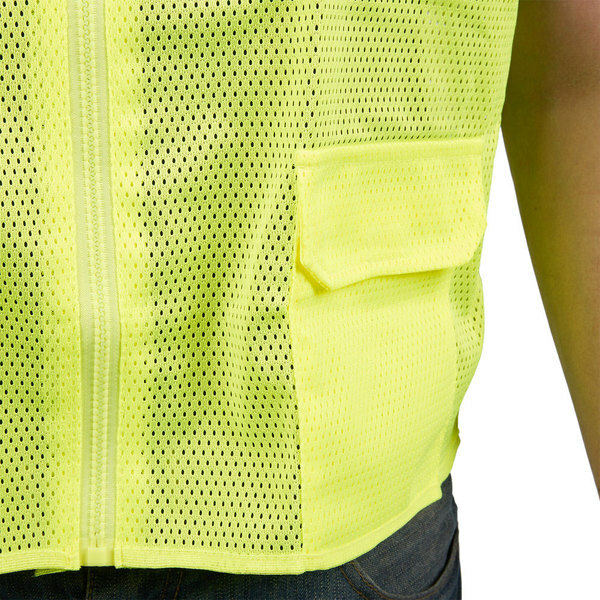 This vest is made of a polyester mesh for light weight performance, and it features a sleeveless design, so your workers' range of motion is not affected. 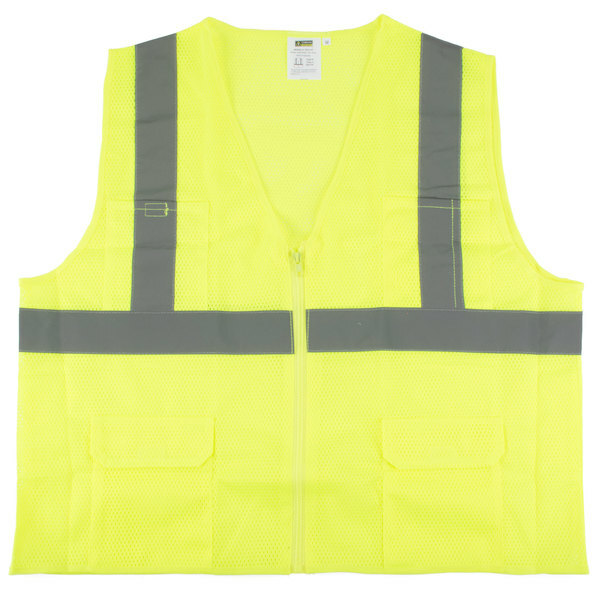 Conveniently sized for comfortable use, this vest fits over most clothing, and the easy-to-use zipper closure quickly closes to keep the vest neatly in place while in use. 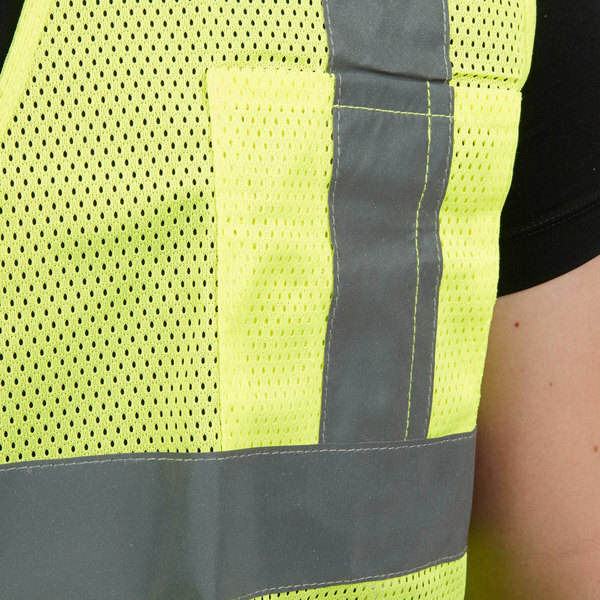 It boasts a wide surface area in addition to its highly reflective design to draw attention to its wearer and maintain compliance with ANSI/ISEA 107-2015 Class II standards.